Help save our native insects and spread the love with this quirky greeting card. 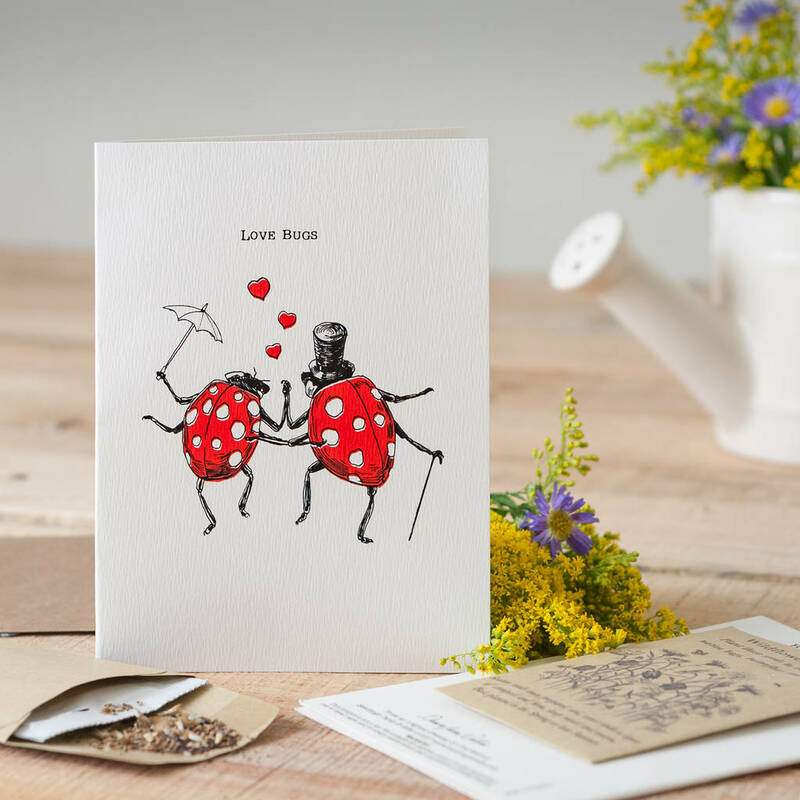 designed with our buzzy friends in mind, this card has a packet of insect-friendly wildflower seeds attached to the back! Once grown, these seeds will provide butterflies, bugs and bees with food and shelter, and help re-build their valuable habitat. A fun greeting for any loved up occassion and perfect for any love bugs you know, whilst also showing how much you care! This product is dispatched to you by Seedlings Cards & Gifts.